LA TEETH Whitening not just gave me white and bright teeth but it gave me back my lost confidence. I now take three sittings a year for best results. LA Teeth in Reading- 1 hour teeth whitening treatment! Why customers choose L.A. for Laser Teeth Whitening Reading? One treatment, one hour, one new smile! 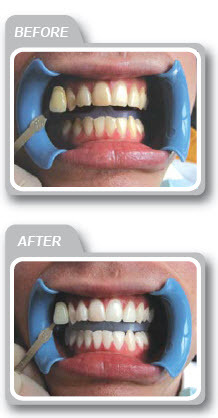 After just 60 minutes you will leave with a whiter brighter smile, results are instant with laser teeth whitening. Laser teeth whitening is a really powerful system that regardless of their current colour LA Teeth whitening will have it whitened up again leaving you looking great. L.A Teeth Whitening offer our fantastic teeth whitening system in Reading and if you live in Reading or near by there is now a local solution to get back your dream smile! So if you live in Reading and you have been thinking of getting your teeth whitened wait no longer. Are you lacking self confidence? – Laser teeth whitening is a great way of making yourself feel good again as laser teeth whitening system is a way to restore that good-looking smile and have you feeling young again. I never imagined that whitening my teeth was so easy, within an hour and after going through a completely painless procedure, my teeth are shining like diamond. These people just amazing. I never thought that I would ever be able to deal with those yellow ugly teeth of mine, but thanks to these people my teeth are now perfect white. I went for the teeth whitening treatment here and now I have white and shiny teeth. The best part about this treatment is that I didn’t get any after effects at all. These people are simply brilliant. Within an hour and without any complications my teeth are now shining like diamond. Love this feeling. Really effective and instant in results. I must accept that I haven’t seen such professionalism with perfection ever. Low price with no extra costs, just awesome. I am a chain smoker and needless to say it started showing on my gums and teeth which got discoloured. I even stopped smiling freely due to that. A friend told me about LA teeth whitening services and now my teeth are shiny white again.